Wordle is amazing and best of all "fun". It is a web tool that easily generates word clouds. You don't need to download any software, login or create an account. Simply go to www.wordle.net and begin to have fun. You enter the words you wish to use; the more times a word appears, the larger that word is in the cloud. You can copy and paste text or type directly into the form. From the examples in the image to the left, you will see three separate word clouds using the same set of words. You can change the structure or direction in which the words are placed and the colours. It is a great way to create an image when you don't have one specific to an event. After you've created the image you can save it online, which means it is visible to others. Or you can capture the image before it is saved to the web using Jing or the Windows Snipping Tool. A tip for keeping multiple words together is to leave out the space e.g. 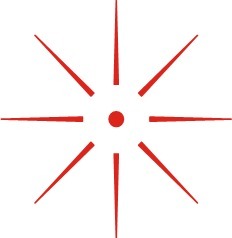 TwoWords or use the symbol “~” e.g. Two~Words. This is useful when using names. New Library Service Beginning this Fall! The Annapolis Valley Regional Library is proud to announce an exciting new service for our rural patrons beginning this fall. Three satellite library sites will be set up in hub locations across the Valley as a pilot project. These sites are in Summerville, Springfield, and Bear River. The satellite library sites will be open to the public for four hours every three weeks, afternoon and early evening, increasing the convenience of library access to remote communities not served by a branch library. Patrons can pick up books they have requested, return items, and browse for great books to read and movies to watch. Library patrons can search our online catalogue of over 200,000 items to request materials. Or call our toll free number 1-866-922-0229 ext. 234 and we'll be happy to help you with your reading needs! So bring your library card and come meet with the staff of the Outreach Services Department at the Springfield Baptist Church on these Mondays from 3:00 – 7:00 PM: Sept. 17, Oct. 9, Oct. 29, Nov. 19 and Dec. 10. Or try the Oakdene Center in Bear River on these Tuesdays from 3:00 – 7:00 PM: Oct. 2, Oct. 23, Nov. 13 and Dec. 4. In West Hants County the satellite site will be in the Avon Emporium in Summerville on these Tuesdays from 2:00 – 6:00 PM: Sept. 25, Oct. 16, Nov. 6, Nov. 27 and Dec. 18. Click here for more information. Some readers just love a good sob. You know who you are. You pine for a book that makes you cry. A tissue box at hand, you settle into the comfy chair, and dig in. This summer I read two new YA books that fit the bill for you tissue-box readers. And both are amazing audiobooks, too, though I do caution against driving while crying. Tears get in the way. 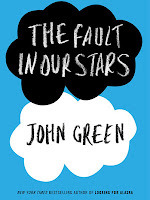 First off is John Green's new book, The Fault in our Stars. 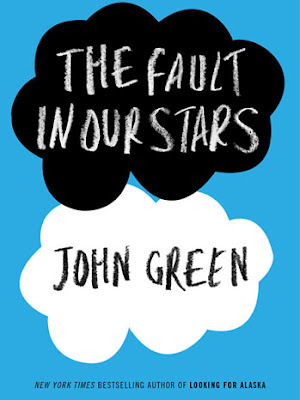 Hazel meets Augustus at a Youth Cancer group, so you know the outcome of their relationship is going to be tearful. Hazel is a survivor, though; she has been living with cancer for years. Augustus has had a leg amputated and appears to be doing ok, too. I don’t think I'm giving too much away when I say that they fall in love, albeit slowly, and this is the beauty of the book. Their relationship is filled with smart and savvy perspectives on life that most YA books just don't provide. The reader falls in love with Hazel, who calls it like it is. Behind the cancer story is Hazel's obsession with a book, and Augustus' desire to make her happy. Be ready to cry for the last 50- 100 pages of the book, non-stop. 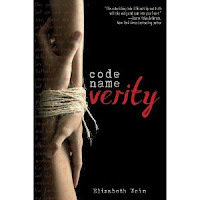 In a completely different setting and time, there's Code Name Verity by Elizabeth Wein. Two girls in World War 2, Britain. One is a pilot; the other is a wireless operator. The British Army is so desperate for help that they allow girls to fly planes and learn code! The two meet and become BFFs, which wouldn’t have happened if there wasn't a war on. You see, one girl is Scottish aristocracy, the other a girl from Manchester. But they do become friends, and again, it is this relationship that makes the reader reach for the tissues. This book is not for the faint of heart; there are awful truisms of war that demand a mature reading level. In fact, while reading, I wondered why this was a YA book, not adult. I decided that because the two main characters are still young (under 21), and the real gist of the novel is their friendship, it is more YA than adult. It moves, too, in a way that adult novels do not—the inner thoughts of the narrators are still young. The proof of their friendship is one of the saddest and bravest scenes I've read in a long time. What are your favourite tear-jerkers? Let us know in the comments! What if we all read the same book? It would be like a giant bookclub meeting with people of all ages and all walks of life discussing the same story. Well, that's about to happen here in Nova Scotia this fall. Community reading programs, or unity reading as they are sometimes called, have taken place in many other places over the past few years. Seattle is credited as having the first city-wide community reading program and it quickly spread throughout the U.S. and Canada. Our neighbours in PEI have just recently held their "One Book One Island" project. The point of community reading events is to promote recreational reading among adults. Often the titles chosen are controversial or have a local link. They are designed to inspire discussion and debate. One Book Nova Scotia will be promoted throughout public libraries, community college and university libraries, and bookstores this fall. The chosen book will be unveiled on Friday, September 21 at a provincial launch at the Keshen Goodman Public Library in Halifax. We'll be having our own local launch right here in the Valley at the Wolfville Memorial Library at 2:00 on September 21. Which book will it be? Stay tuned to find out! 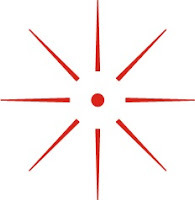 For now, keep up with what's going on at the 1BNS website, follow along on Twitter @1bookNS, and get updates on Facebook.